Artcade is an exhibition celebrating retro gaming culture. 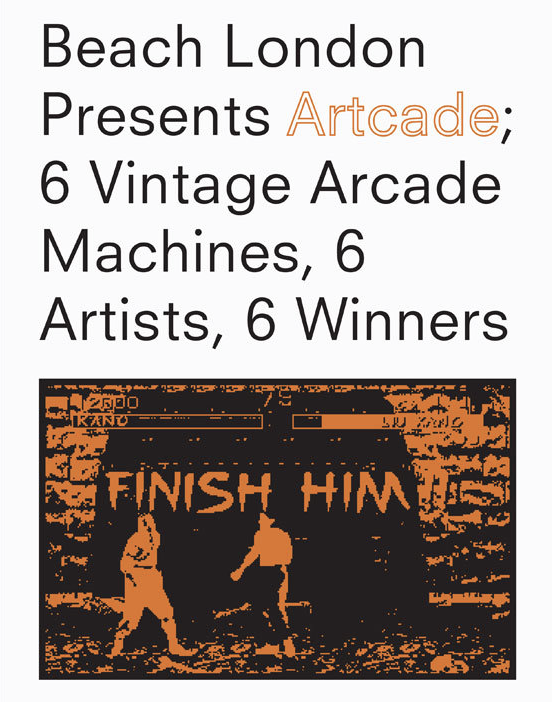 Beach have invited 6 artists to produce a piece of artwork inspired by a vintage arcade machine from the ‘Golden Era’ of coin-operated gaming. Cabinets on show will be Pac Man, Galaxian, Space Invaders, Asteroids, Donkey Kong and Street Fighter II. Exhibiting artists include Gemma Shiel (Lazy Oaf), Anthony Burrill, Pete Fowler, Ellie Andrews, Rosy Nicholas and Malarky. There will be a number of events during the exhibition celebrating gaming culture, including book launches, film screenings, and other events.